In the decades spanning the turn of the 20th century, Canada’s Rocky Mountains were developed as a nationally iconic region for wilderness tourism. Crucial to this image of the landscape were the promotional and development efforts of the Canadian Pacific Railway (C.P.R. ), whose rail lines opened access to the mountains and which profited from tourism through the area. One of the most powerful private entities in Canada at the time, the C.P.R. endorsed the alpine region through projects that went far beyond their original mandate of building a railway. Their efforts shaped the physical reality of the mountains – and of equal importance, affected the way these landscapes were perceived by the rest of Canada and by the world. This paper examines two distinct sets of C.P.R. development initiatives in the Rockies. 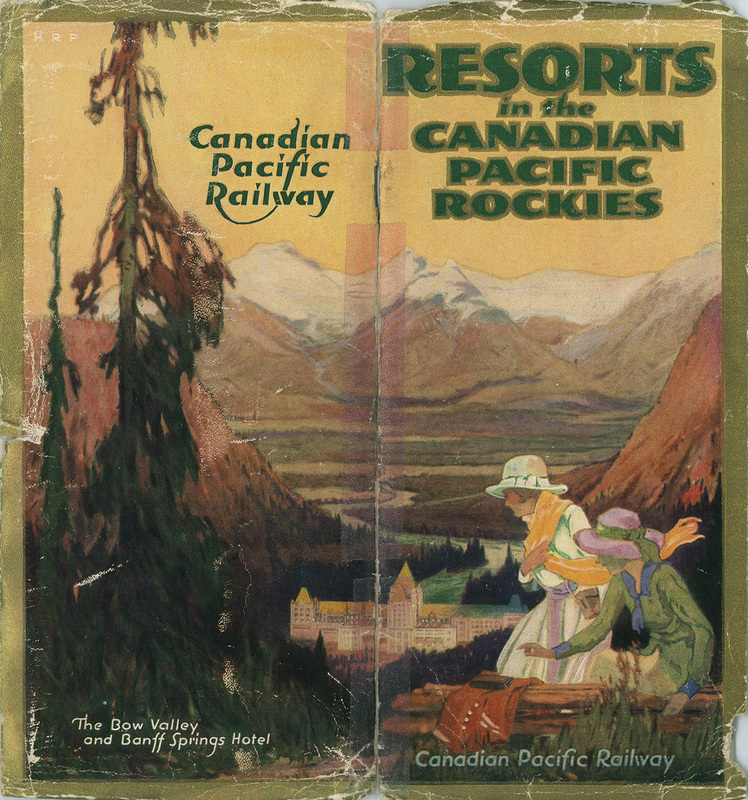 At the end of the nineteenth century, the company created an array of amenities for luxury tourism in the mountains, epitomized by a chain of resorts that included the Banff Springs Hotel and Chateau Lake Louise. The C.P.R.’s special viewing cars along with these “mammouth” establishments encouraged visitors to adopt a somewhat distanced relationship to the surrounding environments. Tourists saw the ‘wild’ mountains as a scenic backdrop to enjoy while swaddled in the creature comforts of first-class rail cars and resorts. In the 1920s, the C.P.R. undertook a contrasting set of developments in the same territory. This centered on the inauguration of a series of rustic bungalow camps – compounds of log sleeping cabins and chalets, situated beside lakes and within forests. Visitors to these complexes expected to be fully immersed in a pristine natural environment, rather than protected from their surroundings. Networks of mobility were central to both the resort hotels and bungalow camps. In the former case, tourists traveled in railcars designed as extensions of the luxury hotel system. Like the resorts, these rail carriages offered an array of services as well as myriad opportunities for landscape viewing. While bungalow camp tourists also arrived to the region by rail, they were encouraged to travel between camps by riding horseback, hiking, or driving along the newly opened Banff-Windermere Highway. In both cases, the Rockies were perceived as a “wilderness” – but one set of experiences underscored the presence of civilization, while the other celebrated the environment’s supposedly pristine and rustic character. My paper explores these two different visions of the Rockies, their intersections with modes of mobility, and the continuing influence of these ideas. A close examination of the Rockies as an “environment of mobility” sheds light on the broad range of wilderness ideals that continue to be associated with this region, and which remain an important component of Canadian nationalism to this day. The Banff Springs Hotel was foremost in a chain of luxury resort hotels constructed by the C.P.R. This image shows the hotel both as an object to be viewed, and a place from which guests could enjoy panoramic vistas of the surrounding mountains and river valley. In the 1920s, the C.P.R. created a series of rustic bungalow camps, which offered an immersive recreational experience in the Rockies. Promotional material for the camps encouraged adventurous forms of mobility such as horseback riding, hiking, and motoring.